Get twice the drying capacity in the compact floor space of a single dryer with Speed Queen stack dryers. 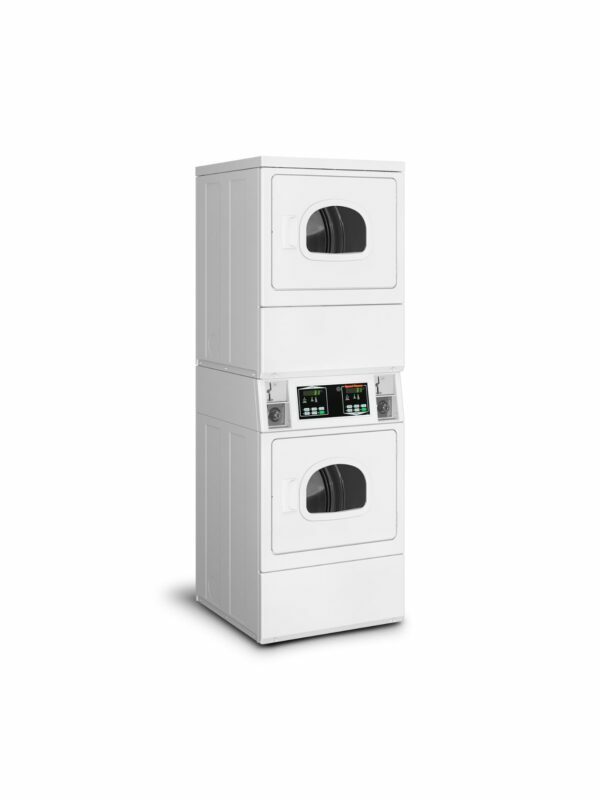 Combined with extra capacity for large loads, the stack dryer gets the maximum amount of work done without breaking the bank — or your laundry design. • Extra large capacity, 7.0 cu. ft. per dryer. • 2.06 sq. ft. door opening is the largest in the industry, providing easy loading and unloading. • 10° tilted control panel allows control visibility without bending down, improving the customer experience. • High efficiency exhaust blower with superior airflow of 220 cfm. • Doors are reversible for installation flexibility.